Does your business need a responsive and effective provider of IT consulting services in the Arlington, VA area? Our clients can count on us to be a reliable, responsive source of valuable guidance. 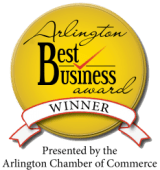 We service businesses in Alexandria, Annandale, Arlington, Ashburn, Fairfax, Falls Church, Great Falls, McLean and Tysons in Northern Virginia, metropolitan Maryland as well as Washington, DC. Envescent helps your company accomplish more by leveraging technology. Effective IT consulting means helping your business better utilize technology to improve productivity, reduce costs, automate tasks and reduce disruptions. We work with every client closely to provide cutting edge research and constructive consultations. Once your business is running at its full potential we can help with routine tasks as well. Our experts can make sure your critical business systems are configured optimally, and backing up regularly, as well as enhance computer and network security, setup remote system access for off-site work and provide specialized help with setting up new networks, file servers, databases, e-mail, spam filtering, mobile devices, cloud applications, websites and more. Our goal is to become your business’ most valuable resource. We firmly believe in the power of strong customer relationships and services with a personal touch. Our experienced IT consultants provide professional insight and assistance for all of your information technology needs with your business’ success and long term vision in mind. Envescent specializes in providing essential information technology consulting. Strategic research and guidance to maximize RoI on technology spending. Cloud migration and integration with providers such as Amazon, Google and Microsoft. Cybersecurity awareness, industry-specific recommendations and insight. Industry privacy and cybersecurity compliance consulting and support. Disaster preparedness and emergency response. Selecting the best broadband and cloud solutions for your company. Customized cutting edge technology solutions for your business. Envescent provides insight and guidance at key decision points to improve stability, performance and security. Beyond that we work to proactively remedy any possible issues before they occur. Our experts can train your employees and provide support with day-to-day issues as well as threat and crisis management. Cybersecurity audits, remediation, incident response, training, analysis, policy creation, training and intelligence. Best practices to mitigate data breach risks. Best of breed software, services and solutions for common problems — specific to your business industry wherever needed. Consultations and research regarding emerging issues such as security and technology trends that effect your business industry and IT. New technology research, guidance and implementation. Assisting your organization determine which new technologies are best suited to provide IT solutions to improve productivity, security and stability. Consulting and support for e-mail migrations, SharePoint implementation, Microsoft Office 365, Google Apps, AWS, Azure, Google Compute Platform and much more. E-mail migrations from on-premises servers to the cloud or from cloud-to-cloud. Data migrations from on-premises servers to the cloud or from cloud-to-cloud. Implementation of voice over IP phone service in the cloud (no need for a costly phone system or the maintenance that comes with it). Routine preventative maintenance to get ahead of potentially critical failures or security problems. Optimization of configuration of systems, servers, network and cloud presence to improve security, stability and performance. Backups, retention planning, testing, restoration and data recovery of missing or damaged files. Training on applications, policy, security and more. Upgrading software, servers, systems and cloud presence to latest secure versions without losing data or functionality. Diagnosing tough problems and providing durable resolutions. Our experts also have a great deal of experience with a variety of specialized software, servers, systems and applications. And we can help with every day IT tasks. Operating systems support and upgrades. Documentation of configuration for easier future support. Security audits and malware removal. On-site, drop-off (at our location) and remote troubleshooting. Recovering data from failed storage devices. Assisting with fixing misbehaving applications. Offered for current and recent versions of: Windows, Mac OS X, Linux and FreeBSD. Hire Envescent for thoughtful business IT consulting help today. We go beyond offering traditional IT services. Our company is your complete technological resource. If you are interested in our consulting services or you don’t see what you’re looking for and have a question please contact us.